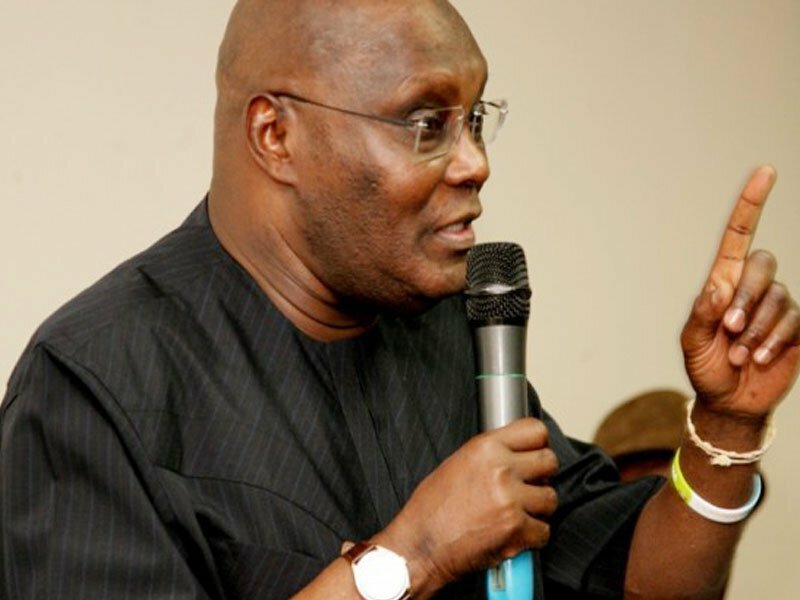 Former Vice President, Atiku Abubakar seems to be crossing all 't's and doting all 'i's towards 2019 elections. If Twitter comments would make a good political aspirant, the Nigerian Senate would have been the best in the world: Ben Bruce, Shehu Sanni, Bukola Saraki and the rest. The problem with Atiku is that I can't trust him. He always has ulterior motives in everything he does. Thought he incumbent president, Buhari was trusted by many (not the Ignos anyway), but his government disappoint not only me but everyone who voted him into power. 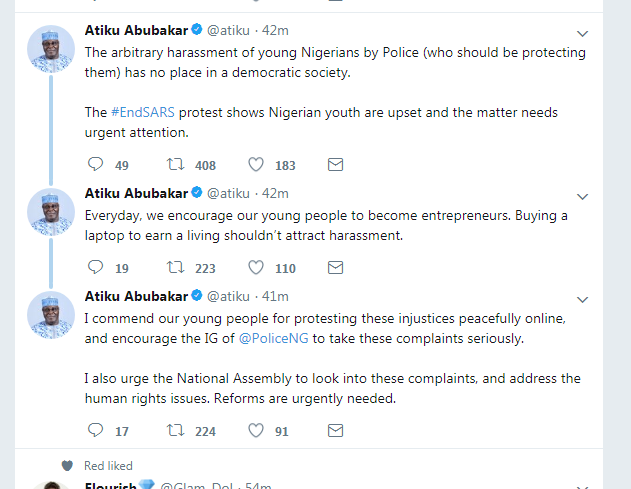 Anyway, Atiku Abubakar has reacted to the #EndSars campaign thread on Twitter. The former Vice President said that the everyday, we encourage our young people to become entrepreneurs. Buying a laptop to earn a living shouldn’t attract harassment.